And for every mutter I hear, I agree. 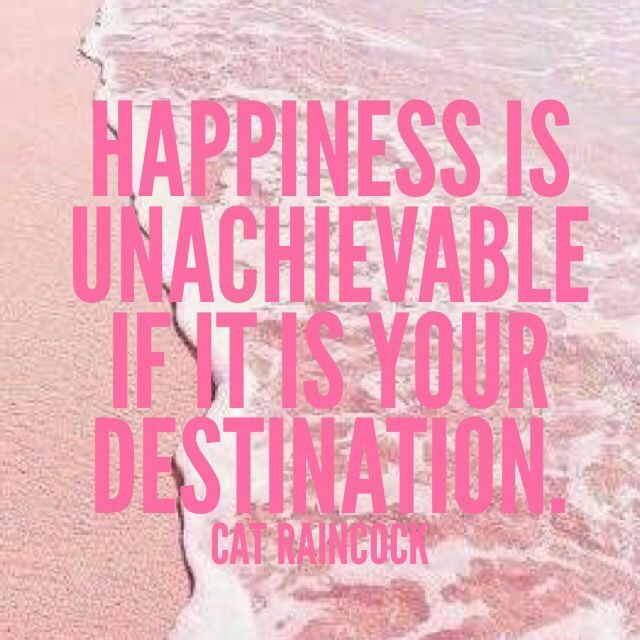 It is unachievable if happiness is your destination. As I lie in the bath every morning I’m reminded of this as I look at the sign in front of my eyes, ‘Happiness is not a destination it is a way of life.’ And as I like to put it, a choice. If your inner dialogue is, ‘when I get the new car, when I get the job promotion, when I retire…I will be happy.’ You are barking up the wrong tree. Society is conditioning us to think that when we fill our lives with material things then we will be happy, wrong. You have seen it for yourself when pop stars seemingly have everything yet nothing. This was the same for me, for many people my life looked privileged as a child – a house in Central London, 2 point 4 family unit, middle-class upbringing and financially stable but my inner turmoil was anything but stable, despite the above. Is this you? Does life look good on paper but something is missing and really you feel a deep sense of emptiness? Often what we think we want isn’t what we want and when we get it, we are left unfulfilled. Society is also leading us to believe that if we get the right job, own a home, get married and have kids we too will be happy. Incorrect. I was sold the dream and was very disappointed. After years of kissing frogs, my prince arrived. We got married, had two beautiful children but motherhood and married life had me feeling very unsatisfied. Of course, it wasn’t about them, it was all about me and you could have given me everything but I would have still felt nothing. Why? Because we aren’t following our heart’s desire and we are constantly chasing what we think we need, based on other people are telling us what we ‘should’ do or what we ‘should’ have. If you are after true happiness, you need to look within, understand why you are like you are, what in your past has shaped you for positive or negative reasons so that you can understand your true needs. Too many of us are ignoring what our needs are because we simply don’t know them but ignorance is no excuse. When I dug deep and looked inside with the help of a therapist, I could then heal the wounds from my past instead of putting a plaster on them and numbing out the inner pain with wine, shopping, and social media. I could stop pretending I was happy when I wasn’t and I could nourish and nurture myself finally. Why don’t people do more in their quest for true happiness? Firstly, because it requires you to take responsibility for your happiness. Secondly, it takes courage to face what you haven’t wanted to acknowledge for over 30 years or more. Sadly there is a stigma about going to therapy, it implies you are broken and no good, ‘only people with big trauma go the therapy’. Incorrect! I had a relatively uneventful childhood but despite that, at the age of 35, I suffered a massive self-esteem collapse and trauma-related symptoms. It’s time to stop judging those that are having therapy, they are the strong ones who are making big life choices and changes and start by taking responsibility for your happiness. Happiness lies within you, once you make the choice to embrace it. Happiness is now and so is your life, don’t wait until it’s too late. You deserve it, you matter.